TUCSON, AZ – The Tucson Roadrunners, proud American Hockey League affiliate of the Arizona Coyotes, announced today that the team has traded forward Carter Camper to the Grand Rapids Griffins in exchange for future considerations. 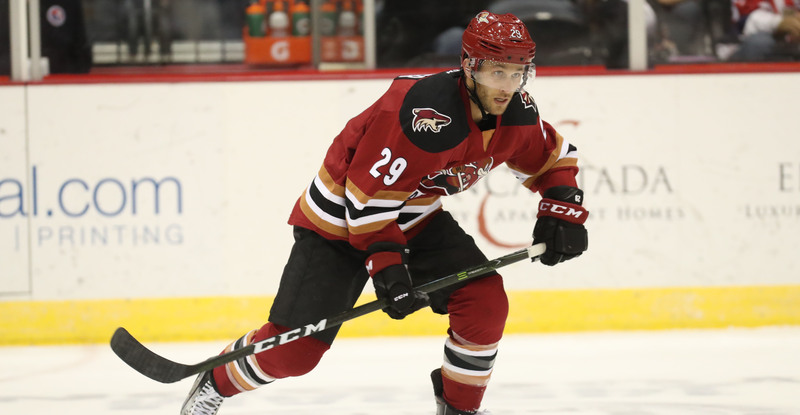 The 29-year-old from Rocky River, Ohio joined the Roadrunners on February 26 from the Cleveland Monsters, going on to register 19 points in 15 games for Tucson and an additional eight points in nine playoff games. Season memberships for the third season of Roadrunners hockey are on sale now and can be purchased by visiting the team’s offices at 175 W. Broadway Blvd. in Tucson or calling 866-774-6253.